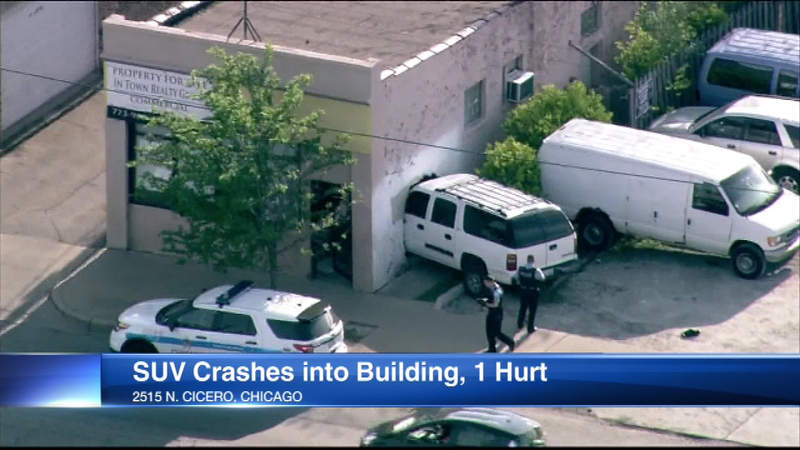 SUV strikes building in 2500-block of North Cicero . CHICAGO -- Inspectors are now checking a Northwest Side building for structural damage after an SUV crashed into it Friday. The driver was critically injured in the accident in the 2500-block of North Cicero in the Belmont Cragin neighborhood. No word yet on what caused that crash.